Comments: Feather frond palm from India. 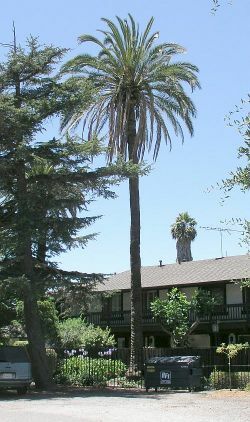 Very similar to P. canariensis (Canary Island palm), but trunk is more slender and fronds have a gray green color. Species grows well in temperate and tropical climates.